Stuffed with three cheeses, rolled up and smothered in a delicious tomato basil sauce, these Easy 3 Cheese Lasagna Rolls are perfect for meal prepping! You may have noticed a theme around here lately, less new posts and a lot of me saying “cooking with a baby is hard”. Now don’t get me wrong, I am in no way complaining, just stating a simple fact. 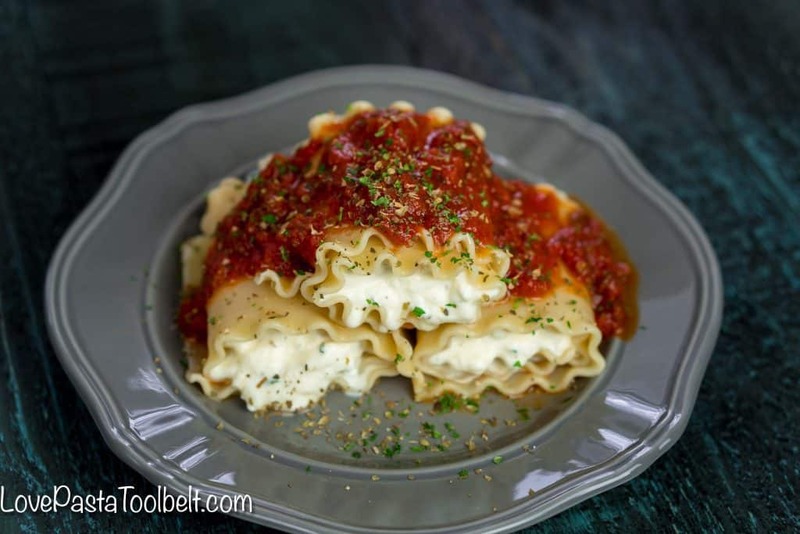 But having the challenges of being a new mom has inspired me to come up with easier recipes, quicker recipes and recipes you can prep ahead of time like these Easy Lasagna Rolls. Pasta is my love language, that and desserts. 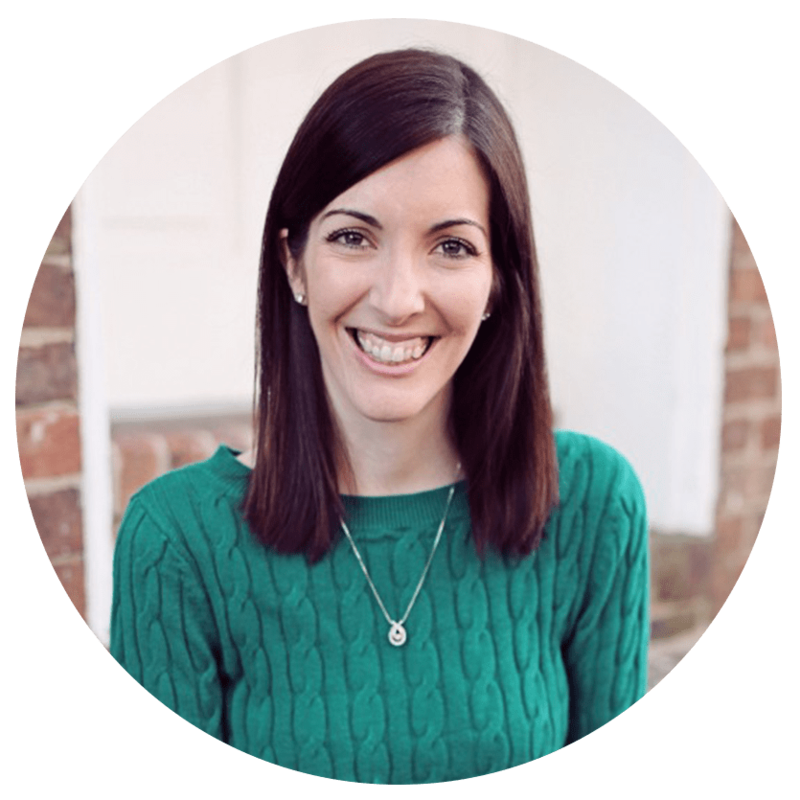 You have probably figured that out by the name of my blog, Love, Pasta and a Tool Belt. I love coming up with new and delicious pasta recipes or new spins on a classic recipe. For a long time I’ve been wanting to try out Lasagna Rolls and I finally decided it was time. 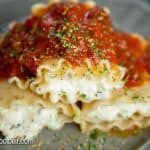 Lasagna is one of my favorite meals to have leftover, something about leftover lasagna just makes the flavors of it that much better. 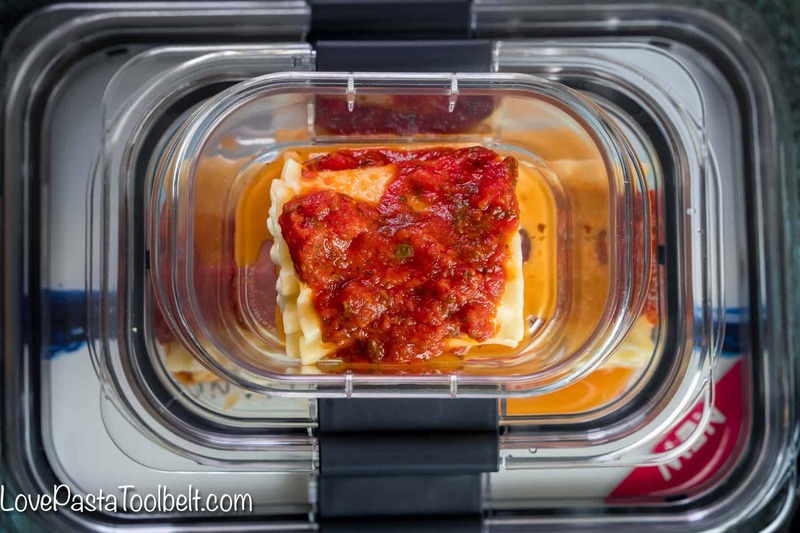 But lasagna can be messy and kind of hard to divide up if you’re meal prepping. 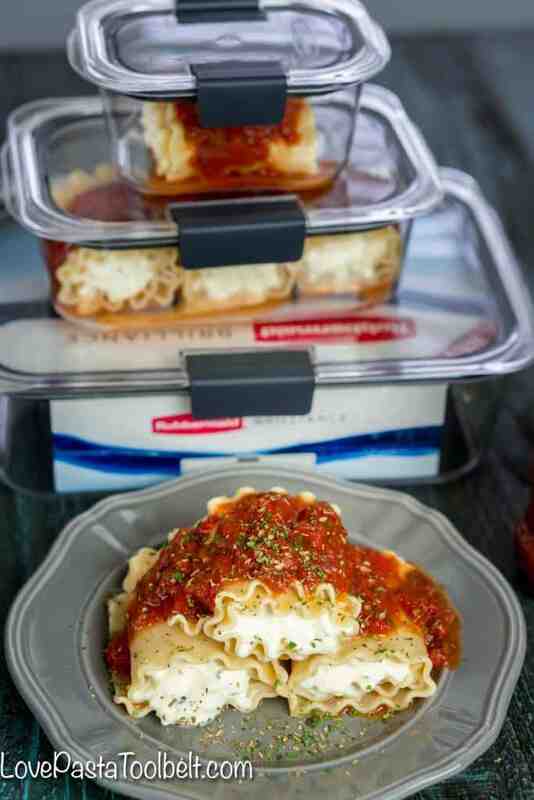 Enter these lasagna rolls which are perfect for dividing up among your 100% leak proof guaranteed Rubbermaid® Brilliance™ containers. 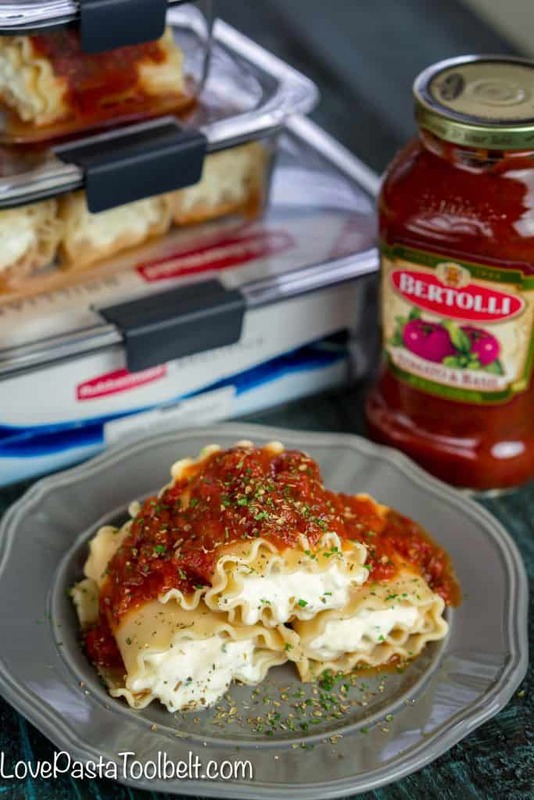 They’re new to Walmart and the perfect option for storing your leftovers or your prepped meals. Also a plus is that they’re crystal clear and stain resistant, I don’t know about you but I hate when red sauce stains my containers! 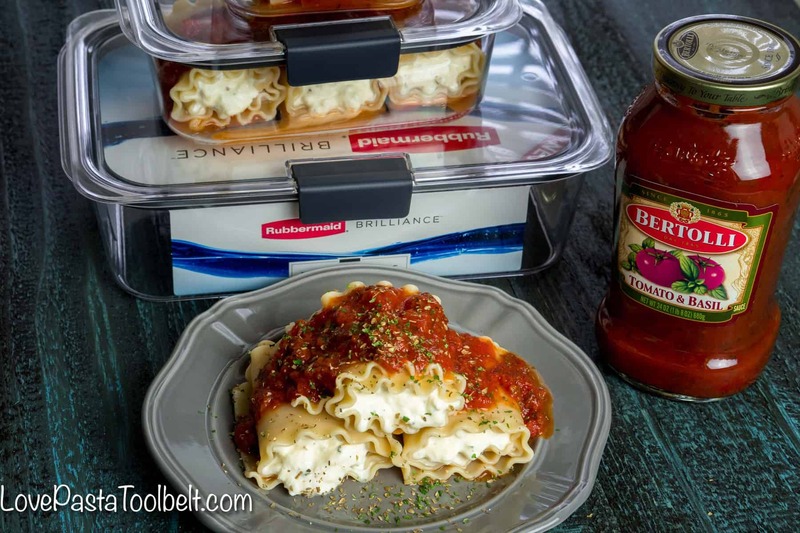 When making these Easy 3 Cheese Lasagna Rolls I decided to grab the Bertolli® Tomato & Basil red sauce. 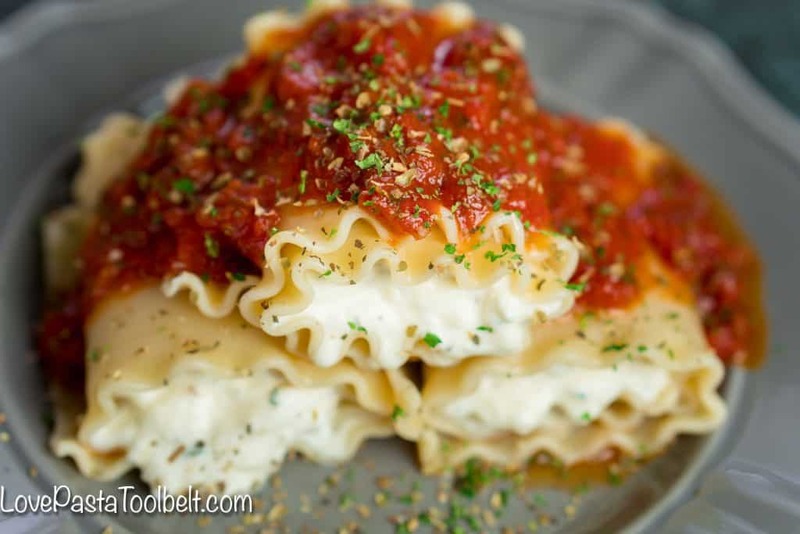 It had a great flavor and was perfect to cover these lasagna rolls for a great taste! 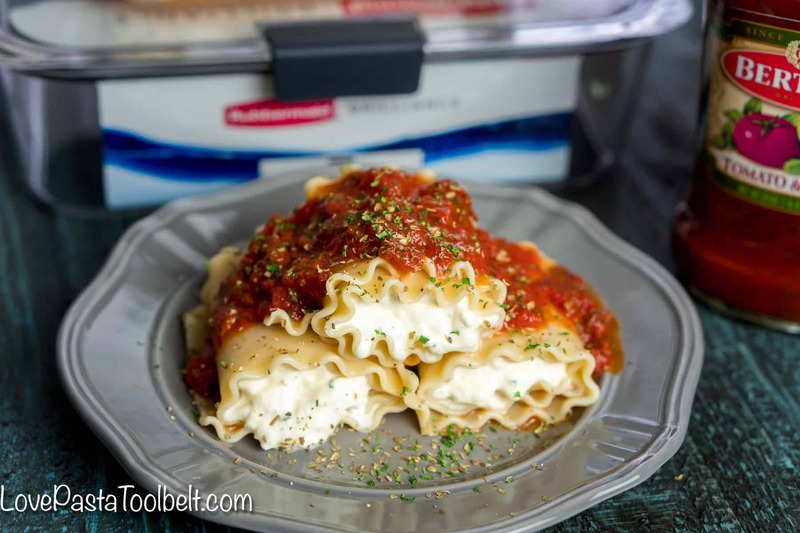 If you want a white sauce then try out the new Bertolli® Creamy Basil Alfredo sauce. 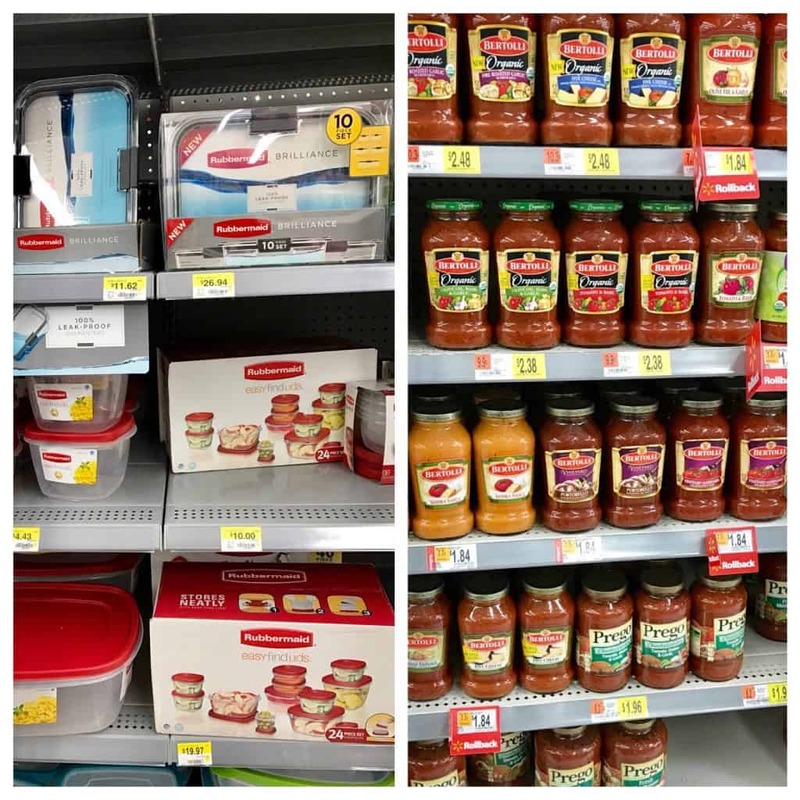 Right now if you pick some up at Walmart you can get $0.75 off any variety and save $2.00 off any Rubbermaid® Brilliance™ or $5.00 off the Rubbermaid® Brilliance™ 10 Piece Set on Ibotta! Just head here to get those great offers! 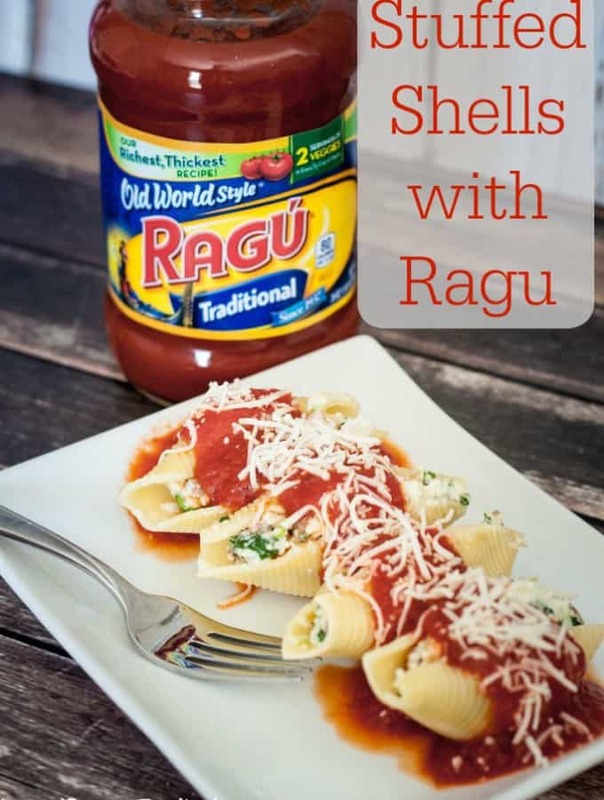 Once you’ve picked up all your groceries it’s time to get to making this yummy recipe! 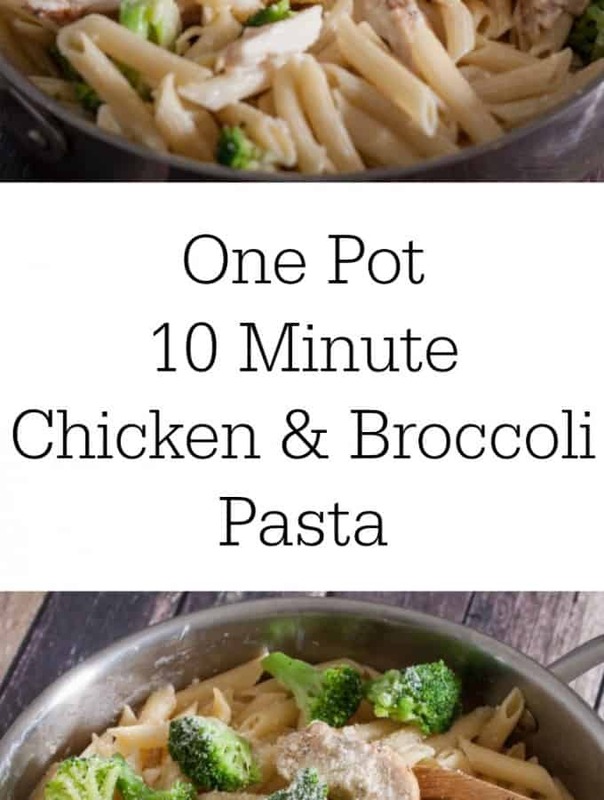 It’s perfect for prepping for dinner time or lunch time! 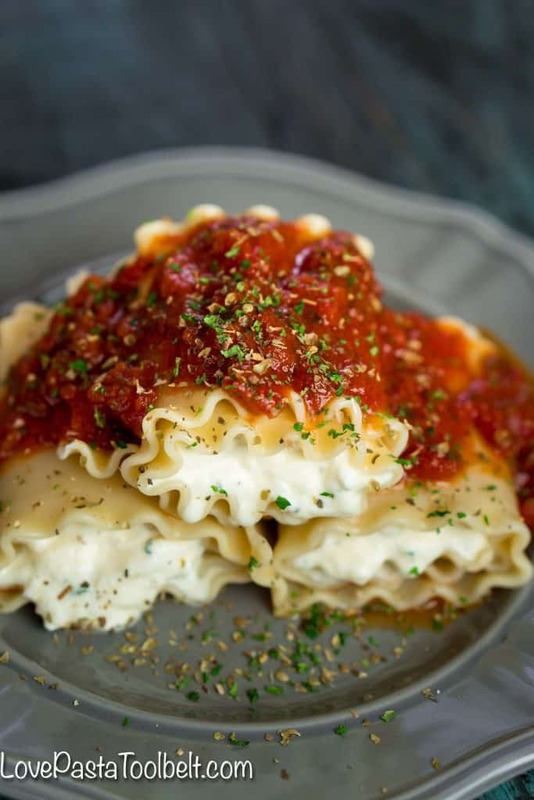 Lay out a lasagna noodle on a paper towel and put 2 tablespoons of the mixture on one end. What’s your favorite meal to prep ahead of time? Need more meal prep inspiration? Head here for more great ideas! RECOMMENDED SUPPLIES FOR MAKING LASAGNA ROLLS! 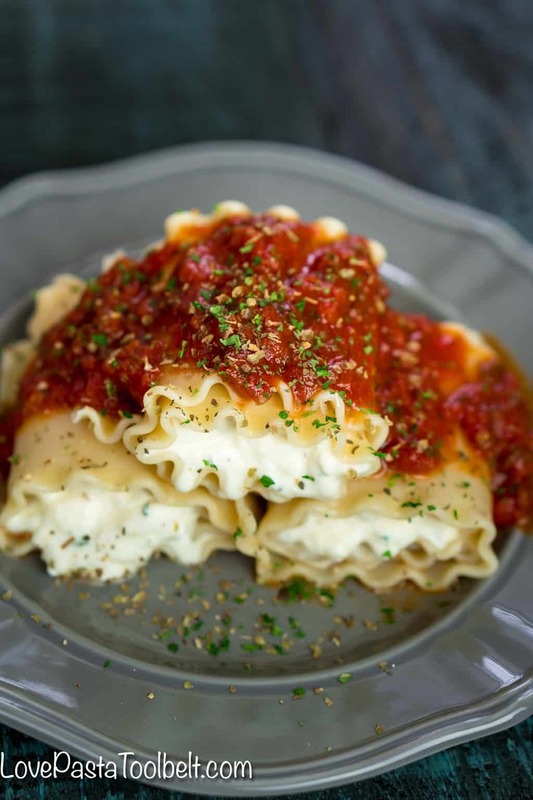 These lasagna rolls are delicious, Emily! 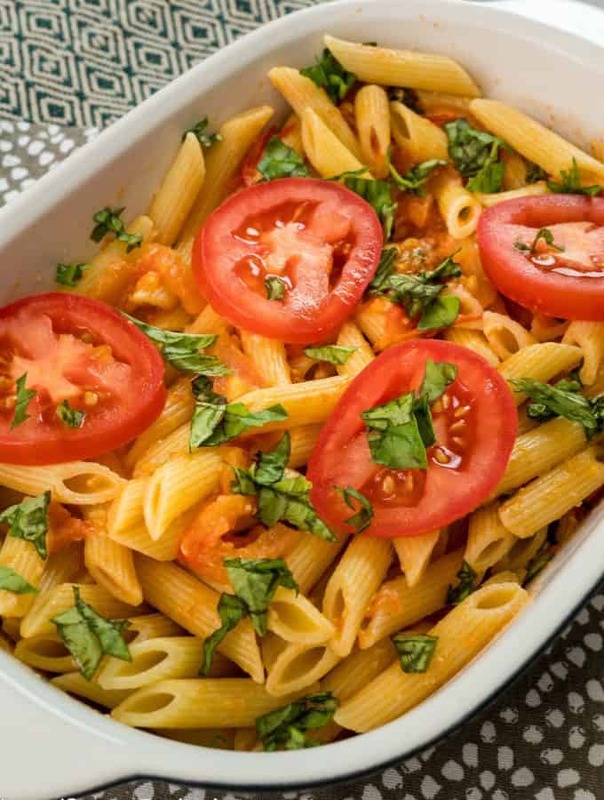 I love the tomato basil sauce! Can I pleeeease include this cheese mixture in everything I eat for the rest of my life? Seriously drooling over here! These look delish! Yummy recipes. 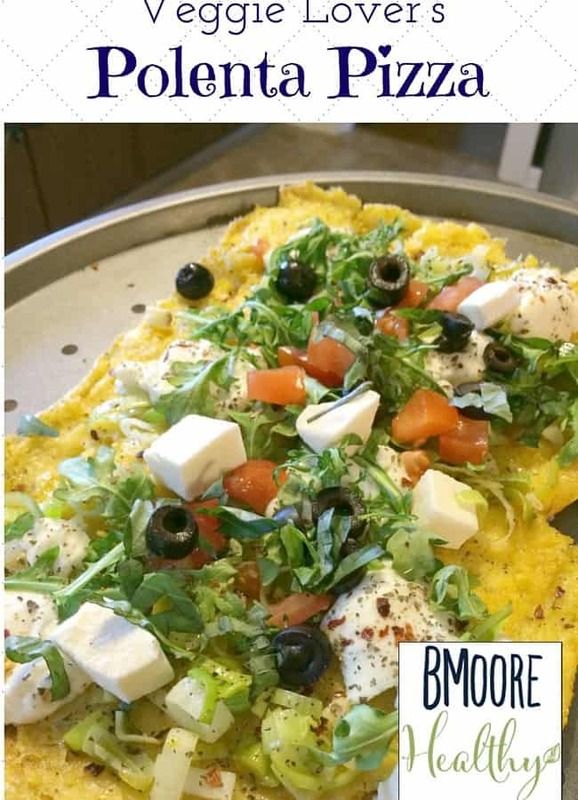 Would love to try as snacks for my family. 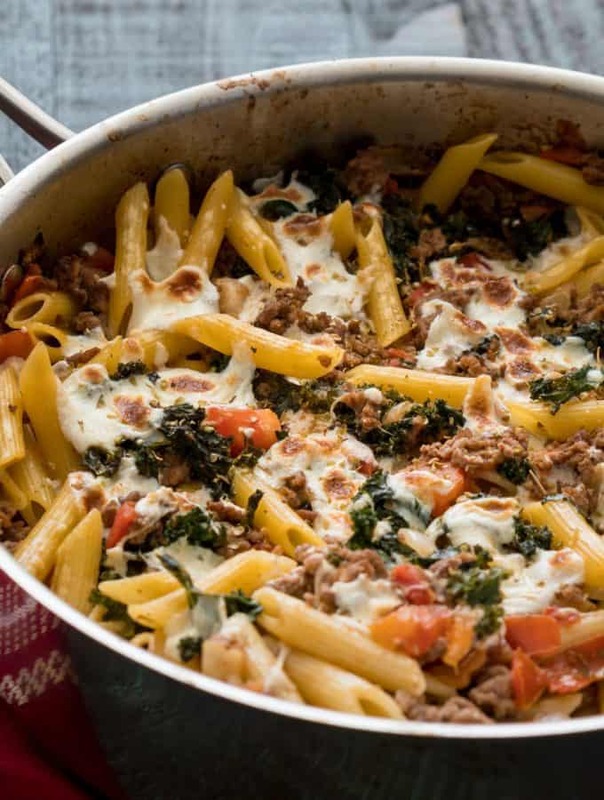 Share such delicious as easy to make recipes.